Go local this Easter Eggstravaganza with our top five tips! 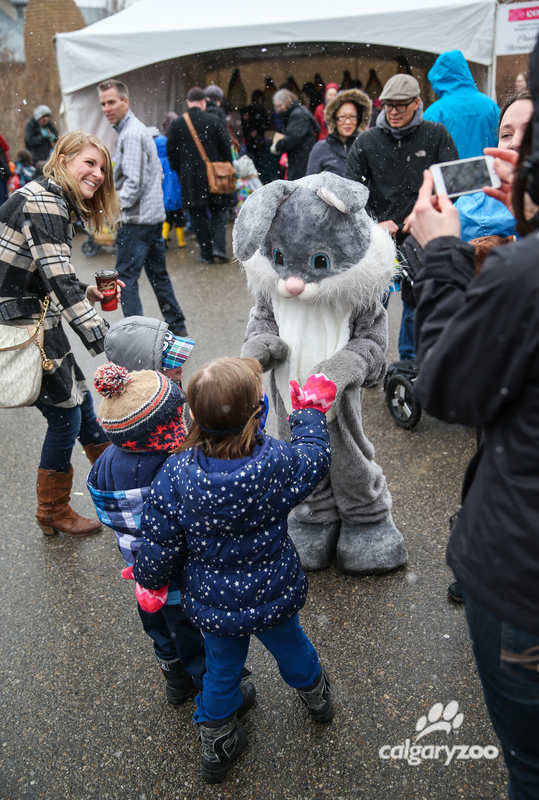 It’s time for Easter Eggstravaganza, a classic two days of springtime fun at the Calgary Zoo. Join us April 14 and 15, when kids of all ages can explore, create, and learn. 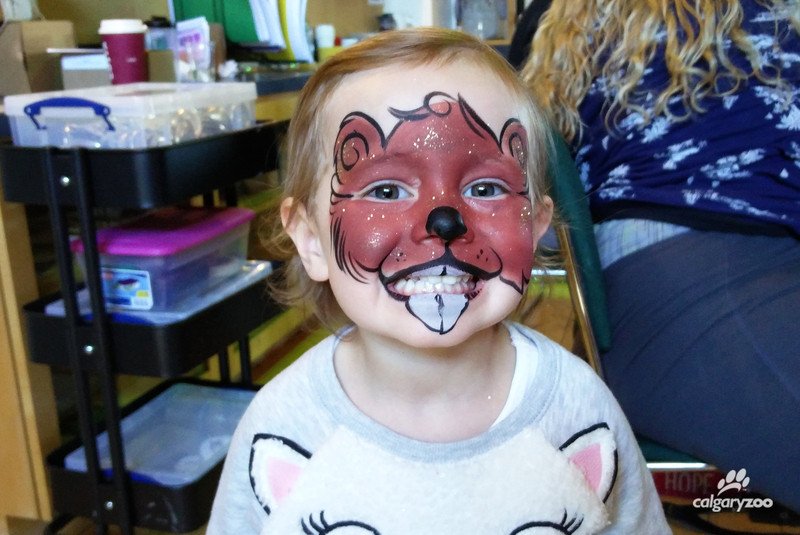 This year we looked close to home for our inspiration — the Eggstravaganza is packed with local organizations who want to help us celebrate with face painting, bunny races, cookie decorating and more! Hop to it! We’ve packed these two days with all the Easter fun your family can find. Activities run both days from 9 a.m. – 2 p.m., and the fun can be found in action jam-packed zones. Every activity can be found indoors- ready for April weather. Plan your perfect Easter visit with our event map. 1. 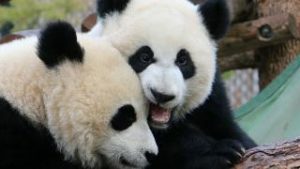 Vote for Canada’s Greatest Animal! What kind of celebration would it be without a nod to Canada’s 150? Activities at this year’s Eggstravaganza tie in with the sesquicentennial celebrations at the zoo, which run until May 19. We’re still searching for Canada’s Greatest Animal, and here’s another opportunity for you to cast a vote for your favorite. Stop by Campaign headquarters (Cequel Lodge) on April 14- 15 during the Easter event, and enjoy free new Canadian Wilds programming. Don’t forget to participate in Campaign HQ activities- make your own button, colour a poster for your favourite candidate. Contribute to the monster mural, and of course, stop by for Canadian face painting! 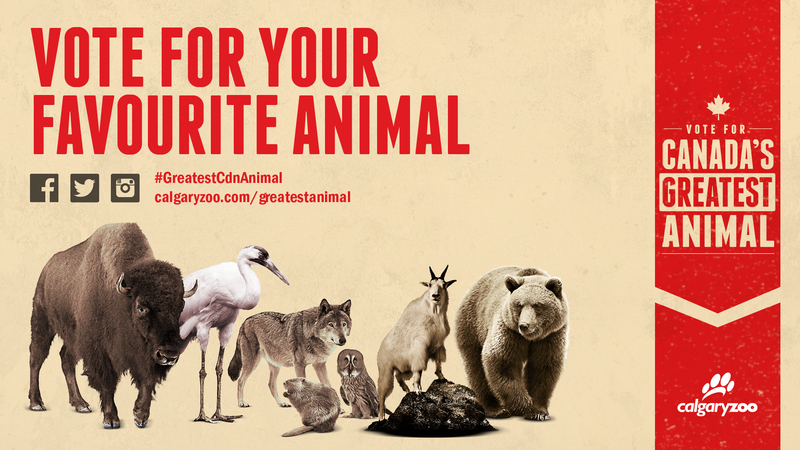 You can even vote online– don’t forget to post on social media with #GreatestCdnAnimal. 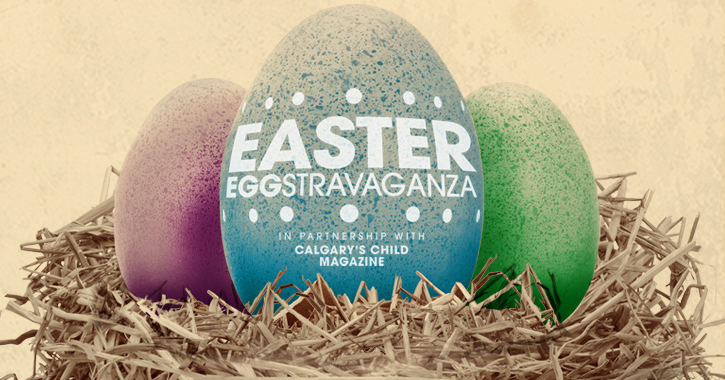 After Eggstravaganza, the HQ building will remain open on April 16 and 17 from 10 a.m. – 2 p.m.
Meet the ‘eh team’! Who will you vote for to be Canada’s Greatest Animal? 2. Jump in at Cococo Chocolatiers for a guessing game and a free chocolate wafer for children 12 and under. They’ll be joined by their rabbit mascot and a guessing game (how many eggs do you see in the jar?). Submit your entry in order for a chance to win a giant chocolate Easter bunny from Cococo. It’s delicious, fun — and home-grown. Cococo is committed to sourcing all cocoa-containing products exclusively via the Rainforest Alliance certification program. Find the the chocolatiers at the end of bridge as you enter the island. 2. Meet new friends! Cobb’s Corn Maze is bringing super fun games and activities for everyone to enjoy. You’ll also get to see some of the kids’ favourite characters, including the Minons, Teenage Mutant Ninja Turtles, Olaf and Elmo (schedule for characters found on website). Roll around in a giant hamster ball, try your hand at bowling or a beanbag toss, join in a game of Bazooka Ball, and more. Find this fantastic section in the Connect Zone in Safari Lodge. 3. Make a tasty treat! 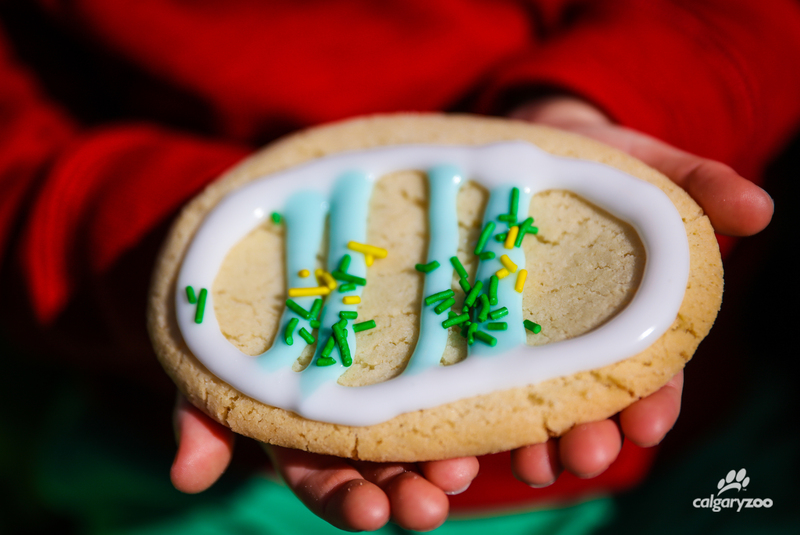 Step one: decorate a cookie from the Italian Bakery, who’ll be bringing delicious cookies and icing. Step two: eat it! Stop by and chat with Calgary’s Child Magazine, and pick up the latest issue or their family guide packed with information. Don’t forget – what would Easter be without eggs!? Learn all about what it’s like to be an egg farmer from the Egg Producers of Alberta. Enjoy many more activities in the Engage Zone in the ENMAX Conservatory. 4. Ready, set, HOP. 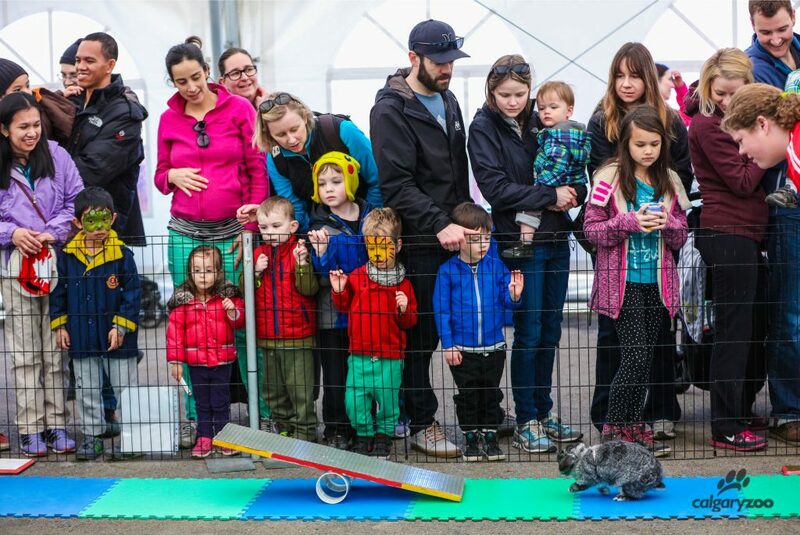 Everyone’s favourite, the Canadian Rabbit Hopping Club has returned this year to set up a colourful obstacle course for their furry friends, stop by to cheer them on. Which rabbit is fastest- the giant bunny with the floppy ears? Perhaps it’s the small cute rabbit you first noticed when you arrived? Only the races will reveal the winners! If you have a green thumb, try your hand at planting a sunflower seed with Agrium, and then take it home and watch it grow, and then dig in and get your hands dirty with a carrot-picking activity from the Calgary Produce Association. Don’t forget to pick up a free fruit snack (mmm, oranges!). It’s time to get hoppy in the Explore Zone on the West Lawn. There’s always something fun to do at the zoo, but Easter Eggstravaganza is hopping with wild fun! Coming from out of town? Check out our hotel partners here.